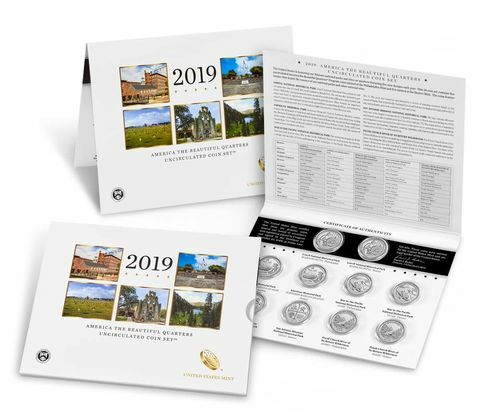 WASHINGTON – The United States Mint (Mint) opened sales for the 2019 America the Beautiful Quarters Uncirculated Coin Set™ (product code 19AA). The set is priced at $13.95. Frank Church River of No Return Wilderness (Idaho). The obverse (heads) design of all coins features the 1932 portrait of George Washington by John Flanagan, which has been restored to bring out subtle details and the beauty of the original model.